A voice over a loudspeaker counts down from ten to zero as the camera zooms in on the girl’s eye. A nuclear explosion fills the screen on zero. 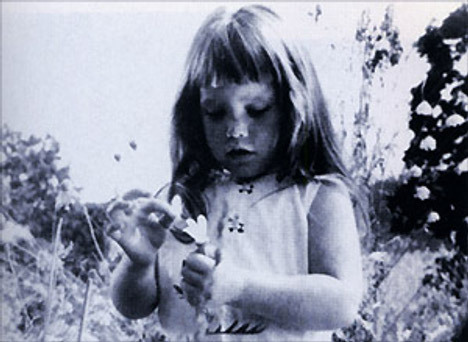 The Daisy ad was withdrawn from air almost immediately, in the wake of criticism over the use of nuclear war as a scare tactic. However the spot continued to etch its way into the American consciousness as it was screened on news programs. Johnson’s line “We must either love each other, or we must die” echoes W. H. Auden’s poem “September 1, 1939” in which line 88 reads “We must love one another or die”. The Daisy ad was developed at DDB (Doyle Dane Bernbach) by account director James Graham, senior art director Sid Myers, copywriter Stanley R. Lee, creative director Tony Schwartz and agency producer Aaron Ehrlich, with photographer Drummond Drury, Elliot Unger Elliot. For more background on the ad see Conelrad, PBS, and Wikipedia.